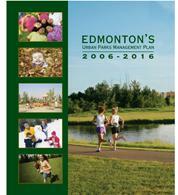 The Urban Parks Management Plan (UPMP) guides the acquisition, development, maintenance, preservation and use of parkland in 2006-2016. It provides strategic direction for all river valley and ravine parkland as well as all school and park sites outside the river valley. This final plan was approved by City Council on June 13, 2006.